Water Leak damage is the 2nd leading cause of home insurance claims nationwide. Able Leak Detection in Clearwater can help with Home Leak Detection Services throughout Florida to help stop a disaster from happening. When you take advantage of our house Leak Detection or Leak Inspection Services, you are not only protecting the safety of your home and health of your family, but you are also taking steps to save money. One of the biggest indicators of a leak in your home is a spike in your water bill. Finding and fixing the leak will bring your utilities back down to their normal rate. How Much Water Can I Lose? 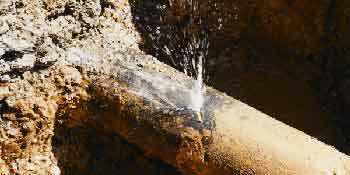 Water loss varies based on the size of the pipe, pressure and the size of the hole/break. For example, a 1/8” hole in a 4” pipe at 60psi can lose 296,000 gallons of water over a 3 month period. How Does Able Leak Detection Detect Leaks? There are several methods we use to locate leaks. Our common techniques include sounding (ground mics), noise correlators, pressure testing and helium detection. Information Needed to Find the Leak? What is the pipe made of? What is the diameter of the pipe? What are the locations of the valves? Are the valve boxes cleaned out and the valves visible? What kind of drawings or utility maps are available to us? Does Able Leak Detection Repair Leaks? 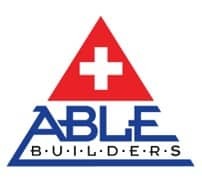 Able Leak Detection does not repair water mains, transmission lines, services lines or any other plumbing related issues. Please contact your local licensed plumbing contractor or simply ask us for a referral in your area. We work with many licensed and reputable plumbing contractors and would be happy to recommend one to you. What is a Leak Noise/Correlation? Sound sensors are placed in contact with the pipe, at two or more points, to record the sound emitted by a leak somewhere between the points. The sound data is processed through a mathematical algorithm which compares or correlates the two recordings to determine the difference in the times it takes noise to travel from the site of the leak to each of the sensors. If the distance between the sensors is known in advance, this timing information can be used to determine the location of the leak.Leak correlators require accurate information about the materials through which the leak sound is traveling in order to perform an accurate time calculation. Most leak correlators serve two major purposes. First is to detect the presence of a leak, second to pinpoint the location of the leak for repair when detected.